1) Brush the surface of your pool, including the interior walls and any areas with tile. Pool Cleaner. These work equally well for in ground and above ground pools. They function by crawling on the surface of your pool, vacuuming debris and filtering the water. We can help you pick the cleaner that is right for you. Contact us for consulting and a price quote. 3) Skim your pool. Leaves and other small debris can build up on the surface of your pool water. Use a clean net to remove this debris. 4) Remove the pool skimmer lid and remove the skimmer basket, dumping out debris that has been collected. Clean your pump basket in a similar fashion, by removing the lid and overturning the basket. 5) Test your Chlorine, pH and alkalinity levels. Make sure you have a Pool Chemistry Test kit. Keeping your pool water balanced will reduce the cost of maintenance. 6) Use a pool cover. Using a pool cover regularly can reduce evaporation by 90-95%, and enhance safety. "I keep my pool open all year round (365 days a year) for the last 7 years since I built my pool in 2004. By doing this requires a little extra attention and there is no one else I would let touch my pool besides Mike Schaffer. Mikey is very professional and I have been around pools all my life as my parents had a pool when I was 5 and I have never met someone so experienced with pools like Mike Schaffer. 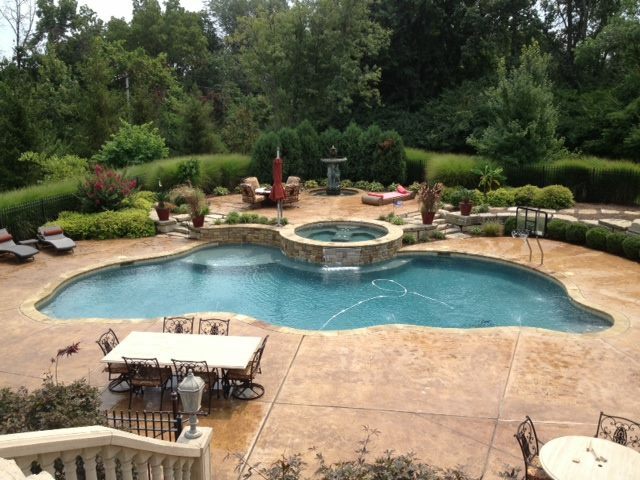 You will not be disappointed with Schaffer Custom Pool Services."